Infusion d'Iris Absolue is a popular perfume by Prada for women and was released in 2012. The scent is powdery-floral. The production was apparently discontinued. Heart note VS "Relationship Center"
But after three hours, ovation please, burlesque queen Vanilla is coming! She's still slightly high after yesterday's party, but she did not forget to powder her nose ... and at that moment I fell in love. Rock solid performer from Prada, better than the original Infusion to my mind. There's something Chanelesque about the way it wafts and wends its way around you and the mistake would be to think you could wear it every day, where I fear you would become a little anosmic. I qualify that by saying that the longevity is not as durable as the original and as others have noted the carrot goes before the stick, the iris (carroty orris butter) fades quickly to the golden benzoin afterglow. It's quite a romantic little number though and the acid test is whether or not you reach for it when pushed for time. I confess that I do and I that I have a back up. I have bath salts in the original Infusion D'Iris and a new bath, one of those Victoria and Albert ones that I have waited to be a grand old age to own, after a lifetime of acrylic monstrosities. Add Iris in all its forms to create the most luxurious bathing experience followed by Man style pyjamas, a dressing gown with a braid revere and softly scented breath on skin. I didn't say whose. Infusion d´Iris Absolue is not a higher concentration of the eau de toilette, as i thought. Since i love orris fragances i like both of them, but i can imagine someone loving one and totally disliking other because the moods are, if not opposite, very different. The eau de toilette is cool, green and dewy, very spring-like. The absolue is more oriental, warm and enveloping. I would say they just share the iris. The way it starts is very much my cup of tea. bitter, rooty iris, probably enhanced with carrot seed. Rich and thick. 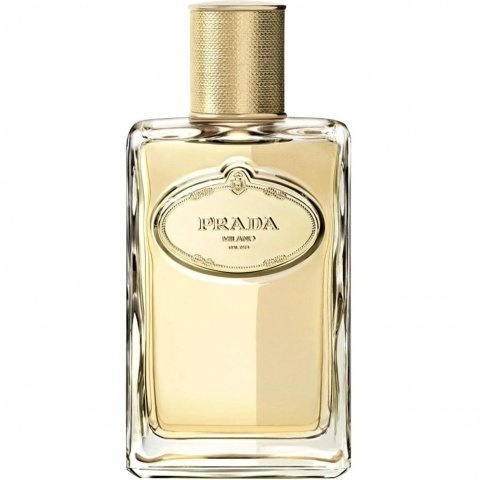 The neroli is not so evident, but it gives off a freshness that you notice when its gone. Same happens with the orange blossom. It never steals the attention from the orris, but the concoction is dense, bitter and has an oily floral edge. As the fragance evolves the iris is more powdery and, definitely, polished, but still veers to the bitter and the vigourous. Mastic resin and benzoin are quite noticeable, making the Absolue a resinous, balmy take on iris. I catch a bitter almond-like whiff too. So far i love it. Vanilla and tonka make some sort of inflexion in the developement of the fragance. It gets sweeter, the bitterness and resinous quality fade. When this happens i find the fragance more, hmm, average, and i loose interest. Is like the sweetness from the vanilla kind of neutralizes what i found thrilling in this "infusion", not completely though. Truth is that the more it stays on the skin the more sheer and "pleasant" it turns. It becomes a comforting, safe scent on one hand, that still smells good. But on the other i find it uninspiring, older and, well, boring. I appreciate the drydown is still about iris, but is so powdery and ambery and tame that makes me wonder if it is the same perfume i sprayed. Still i come back to it sometimes, because the first couple hours i enjoy it very much: the orris is very intense and the warmer approach to it makes it suitable for colder days. It has taken me two full days of wearing this, before I could write this review. I bought this fragrance blind, but had a brief sample sniff of the regular Infusion D'Iris from a friend. I was really looking forward to this fragrance, as wanted something floral, but a bit powdery for Spring. With the first few minutes, upon spraying, I was taken aback with an almost metallic, leathery note. Not very pleasant, but gratefully didn't linger too long. Then the nice notes started coming to the surface, a soft orange, and the lovely soft iris flower. This is when the powdery vibe kicks in). The drydown, for me anyway, is the greatest part of all. A lovely vanilla, drifting in and out amongst the floral. But, here is the disappointment. Not much lasting power at all. I do have a problem with lots of perfume no lasting a long time on my skin, unless it's a real power house scent), but this is too damn short. Projection is slight. Had to ask several family members if they could smell it. My son did, . only when I asked him to sniff my wrist, and neck. His comment was, "It's nice, but pretty old fashioned", They are more used to me wearing bold perfumes)So, all in all, I like it, after the first few minutes fades inwards, would wear it a lot, especially during the day, and a good workplace fragrance...but staying power is quite short, and don't think it has much of a sillage at all. A close to the skin scent, for sure. Also, a bit pricey, due to the short lasting power. This bizarre naming trend, adding misleading adjectives and nouns such as "essence" and "absolue" to the names of successfully launched perfumes, generates lots of dashed expectations, as there does not seem to be a lot of attention being given to the meanings of the words being attached by marketers casting about desperately to generate names as quickly as new perfumes are being launched. One might have thought, for example, that the "absolue" of a perfume would be its extrait. Not so, in the case of Prada INFUSION D'IRIS ABSOLUE, which is not just a stronger version of INFUSION D'IRIS--no, not by a long shot. 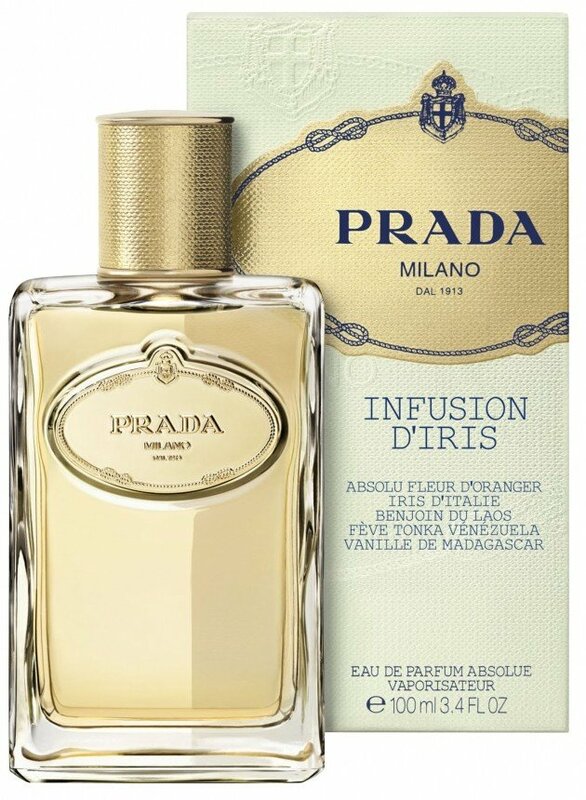 As someone who has managed (unbelievably enough) to drain an entire 200 ml bottle of Prada INFUSION d'IRIS edp and is making inroads into an even bigger jug of the stuff, I feel eminently qualified to pronounce on the difference between the latest Prada Infusion in the line-up, INFUSION D'IRIS ABSOLUE, and its namesake. First off, it is different. Those who detect no difference between the two compositions are probably working from memory. Yes, they are more similar than either is to, say, CHANEL NO 5. But they are distinct compositions, without a doubt. My initial impression upon applying ABSOLUE was that this version was quite a bit more resinous than the original, what I see borne out in the hierarchy of notes above, where not only benzoin but also "mastic resin" is listed. This version also seems sweeter and inches in the direction of Guerlain L'INSTANT. It also conjures up in my mind memories of Kenzo FLOWER. One review mentions the Prada baby oil accord and, yes, I'd have to agree that it is much more pronounced in this version. The biggest effect of the increased resin content is that ABSOLUE seems less clean and airy than either the eau de parfum or the eau de toilette, and also less green. The resins start to get just a bit gunky on me in the drydown, something that never happens with any other of the INFUSIONS. In fact, my favorite part of the entire series, the original, the eau de toilette, INFUSION D'HOMME, INFUSION DE VETIVER, INFUSION DE FLEUR D'ORANGER, and INFUSION DE TUBEREUSE, is the slightly soapy or clean edge in all of them. The only one which I do not own and have not tried is INFUSION DE ROSE, which I have never seen for sale anywhere! All of the previous members of this series familiar to me are not too sweet nor do they have any dirtiness whatsoever, which makes them boring to some reviewers. For them, the ABSOLUE may be a welcome change. As for me, I'll stick with what I know. Similar to infusion d’iris. Less green-incense, more balsamic.